So whenever new people join the forum they dont have to keep making posts about whether or not the ebook is worth buying. They can just look at all the reviews of people that actually bought it. There are already several threads on eBay Stealth, lots of reviews everywhere, if they can't find those I doubt they can find a whole section dedicated to it. Last edited by d0rk; 02-20-2009 at 05:46 PM. 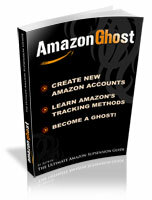 Trust me, there are a lot of people who can vouch for this ebook, i dont know about others. Its a good investment. Hehe.. I like comparing different versions of posts.. it helps me learn more about a person.. let's read.. The eBook/Stealth Book is worth many more times than the low price that you will pay for it. My Ebay account I created with the Stealth Book is going into the 7th month without a single issue. And all subsequent accounts I have created and using are flawless. I have even managed to get some of my old suspended accounts restored using the techniques provided in the book. Been back on ebay main account just hit 1 yr 1002 100% feedback. Five others running from 6months-2 weeks old. Have 22 accounts in waiting (aging). Gotta love that. I've been thru a few suspensions in my time. The info in this book is dead on accurate. Some of what's there I had to learn on my own by trial and error, since I went thru my suspensions and Paypal closings long before finding this forum. And the book still had new info to offer me that I DID NOT learn on my own or from other forums I've been to. Plus, aspkin puts it all in one place for you and gives you step by step instructions, you don't have to go thru trial and error and shooting yourself in the foot. The book is worth paying for and definitely worth using the TrialPay option where you get it practically free. The book plus the info on this forum, which is vetted and vouched for and constantly updated, is priceless.